Our guide for creating insightful profile copy for use on your Opendesk maker profile. This copy allows customers to learn about you and your team, understanding everything from your history to your hobbies. Along with your photography and video, profile copy is where customers can really connect with you and learn about the details of your workshop. Think of your profile copy as your story. The more interesting, insightful and human this story is, the more enjoyable it will be to read! You should write responses to each question in a certain way depending on the size of your team. If you are a team of 2 or more people, you should write in first person plural “we”. If you are the only person in your workshop, you should write in first person singular “I”. Your team consists of 2 or more people. Write in first person plural “we”. Respond to the questions below with your own unique twist. Don’t simply respond with one-word answers. Elaborate on things and provide real insight. Use the example profile copy provided at the bottom of the page as inspiration. 1. A brief history of you. When did you start and why? Tell us why you started and how long you’ve been running. Did anything inspire you to set up your workshop? 2. Where is your workshop? Tell us where your workshop is. Perhaps you are nearby a well-known pub, landmark or attraction. Customers are local to you so help them see how nearby you really are. 3. What machinery and tools do you have in your workshop? Your CNC machine is a given. What other machines do you have? Perhaps you have some more unusual tool and machines such as an old glue press or your great Grandad’s chisel set. 4. What do you specialise in? Aside from Opendesk, what is your specialisation? Perhaps you make exhibition stands, wooden surfboards, or even church organs. How big is your team? What are their roles, backgrounds, and interests? If you’re a one man band, tell us about you, your daily jobs, your background, and interests. 6. What sets you apart from the rest? What is it about the workshop and team that sets you apart from similar services. Perhaps you pay particular attention to quality craftsmanship, customer service or something else. 7. Why did you join Opendesk? 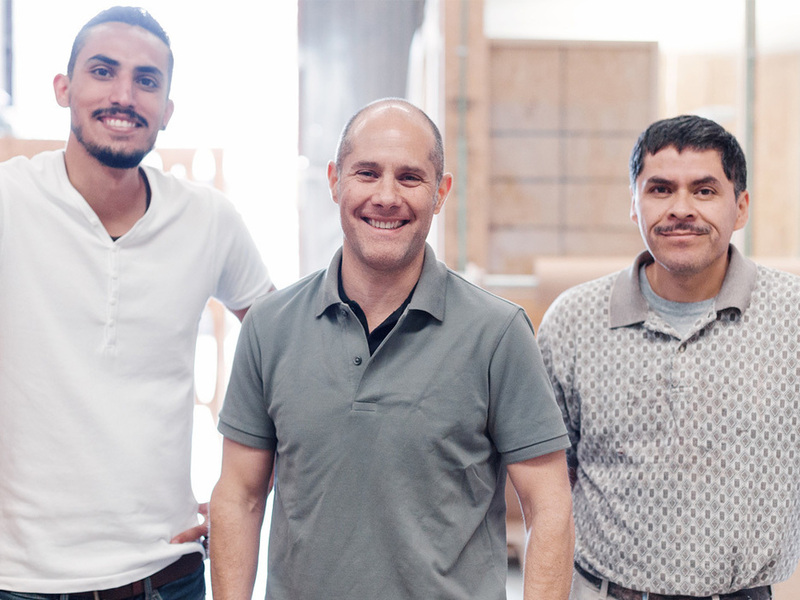 How did you find us and what motivated you to become an Opendesk maker? Perhaps you are interested in design or furniture making or just wanted to make more use of your CNC machine. 8. What’s your favourite piece of Opendesk furniture to make? One design that really stands out and makes you smile when you have the opportunity to make it. 9. What is it you enjoy most about making Opendesk furniture? Perhaps you enjoy the different construction methods used in each design or maybe you appreciate the interaction you have with local customers. 10. What does Opendesk bring to professionals like you? What does Opendesk bring you and in what way does this benefit your business? Perhaps you have learnt new skills, invested in new tools or grown your team. Where do you hope to take your business in 5 years? Perhaps you want to begin exploring a new manufacturing processes or materials. 12. Have we missed anything? Maybe there is something else you’d like to share? Perhaps a fun fact or accomplishment. Use this example copy to get a feel for how you should respond to each question. Use the examples as inspiration but don’t copy them! Notice how two responses are provided for each question depending on the size of the team. If you run a smaller workshop and are the only full-time employee, write in first person singular “I”. If you’re a team of 2 or more, write in first person plural “we”. A brief history of you. When did you start and why? We’ve been running for 25 years now. Wow, a quarter century! 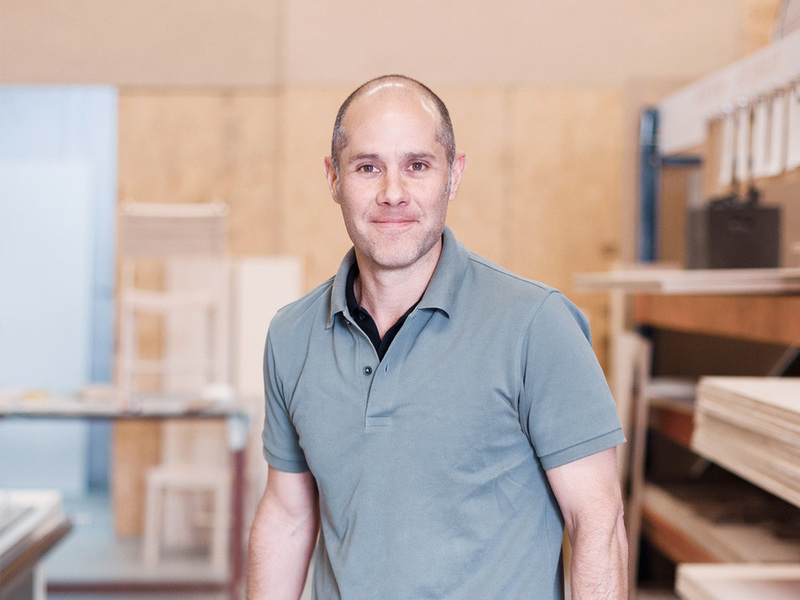 It all began with Giles who started out as a furniture designer and after university started working for a production company specialising in television and theater sets. Soon Giles realised he’d like to run his own company and that’s when Workshop-name started. We specialise in the design, build and installation of exhibition stands, sets and staging for live events. I am a furniture designer and after university, I started working for a big production company specialising in television and theater sets. Soon I realised I’d like to run my own company and that’s when I started workshop-name, which was 25 years ago now. I specialise in the design, build and installation of exhibition stands, sets and staging for live events. We’re based in Cambridge Heath, London, a short drive down Vyner Street. Our workshop backs onto Regents Canal, the perfect place to unwind and take a lunchtime stroll. If you’re familiar with Vyner Street then The Victory pub might sound familiar. Find us here most Friday’s catching up with local friends. I’m based in Cambridge Heath, London, a short drive down Vyner Street. My workshop backs onto Regents Canal, the perfect place to unwind and take a lunchtime stroll. If you’re familiar with Vyner Street then The Victory pub might sound familiar. Find me here most Friday’s catching up with local friends. We have 2 CNC machines, a 3D printer, wide format printing, a spray booth, a CNC table saw, Festool hand tools, a planer, laminator, large format plotter, vinyl cutter, foamboard cutter, milling machine and even a sewing machine! I have 2 CNC machines, a 3D printer, wide format printing, a spray booth, a CNC table saw, Festool hand tools, a planer, laminator, large format plotter, vinyl cutter, foamboard cutter, milling machine and even a sewing machine! Our main business is event production, exhibition stands, pop up shops, road shows, building sets for TV shows and we also work with brands that want to create memorable physical experiences for their fans and followers. My main business is event production, exhibition stands, pop up shops, road shows, building sets for TV shows and I also work with brands that want to create memorable physical experiences for their fans and followers. We have a team of 12 in the workshop, headed up by our Workshop Manager Warren and Construction Manager Danny Smith. When the season gets really busy we’re joined by a host of freelance staff. Everyone here has a passion for the creative industries with a background in design, marketing, manufacture or events. For now, it’s just me, jack of all trades! I’m the one running and maintaining the machines, talking to customers and delivering projects! If I need extra help on a particular project, my family or friends can usually help me out. We are focused on achieving the highest quality throughout a project. From the first meeting to final delivery and assembly, we make sure customers know they can count on us at any time. In everything I make, I think about how durable the piece will be. I want to make beautiful furniture that lasts! To me, a successful furniture maker is defined by the longevity of the furniture he or she makes. Why did you join Opendesk? We’ve been following Opendesk since 2014. In 2015 we decided to sign up and try our hands at furniture making. We took to it quickly and Opendesk jobs immediately became a team favorite! We’re now making beautiful furniture in addition to our regular business as church organ makers. It’s quite a mix of work! I’m fascinated by the Opendesk model and wanted to be a part of it. I’ve always been keen to get into furniture making and this seemed like the perfect excuse. Opendesk keeps my CNC machine running for longer and plugs gaps in my production schedule with enjoyable furniture making for local customers. What’s your favourite piece of Opendesk furniture to make? We’re all big fans of the Valovi chair. It’s beautifully simple and extremely satisfying to make. We’ve got about 10 in the workshop. I’m a big fan of the Edie set. My young daughter loves the little stools which is lucky given how many I’ve made for her! Making furniture is something we all find extremely satisfying. It’s always more special when an object you’ve made looks beautiful. Every time we make an Opendesk product we learn something new. Each design has its own unique construction method and it’s a real treat to build them. I’ve always been a passionate furniture maker. Opendesk products take traditional woodworking techniques and remaster them for digital fabrication tools. It’s a pleasure making products that blend old and new with such beautiful outcomes. What does Opendesk bring to professionals like you? We knew about Opendesk before the project in London, when we started looking for some additional projects to fit into gaps in our production calendar. We weren’t looking for projects that would need us to set up production lines. With Opendesk, production is easy to manage and similar for all products. I never thought I’d be a serious woodworker as I’ve always preferred metal. Opendesk has opened up a whole new world for me. I built my CNC machine to be used as a hobby machine. I had no idea I’d be making good money with it. Small projects allowed me to pay off my machine, large projects from Opendesk have allowed me to buy more tools even consider expanding my workshop. 3D printing is a new field that will one day take us all by surprise. It is early days in terms of affordability. The combination of CNC machine, 3D printing, and laser cutting provides us with limitless possibilities. The future looks bright. I’m looking at hiring an extra workshop hand and doubling my workforce. With a bit of help, I’m hoping I’ll be able to expand my workshop and add laser cutting to my list of services. Who knows, maybe I’ll treat myself to a new CNC machine. Our workshop manager Matt had has been on The Weakest Link… Twice. I’m the master of the ping pong trick shot with my own Youtube channel. Now you’ve written responses to each question, you’re ready to send them to our team so we can optimise and upload to your profile. If you would like help with your maker profile copy, contact Josh, our content wiz. He’ll be happy to provide support.